Marvel Studios dropped a new Avengers: Endgame spot during Sunday’s Super Bowl trailer. And ever since, fans have been poring over the footage, looking for new details. But there is one detail many have missed. The beginning of the trailer featured flashes of many heroes who died during the Infinity War. No one can blame people for not catching it. The flashes- ten in total- but 13 characters in all. It all happened in quick successions in under a second before Marvel logo comes up. It’s an incredible opening, with each character’s appearance coming from other films they’ve appeared in. While it’s unclear what those flashes mean, it wouldn’t surprise us if there’s a meaning behind it. Although it would be really cool, if not somber reminder of everything that’s dusted. But if you weren’t able to notice this, don’t worry. 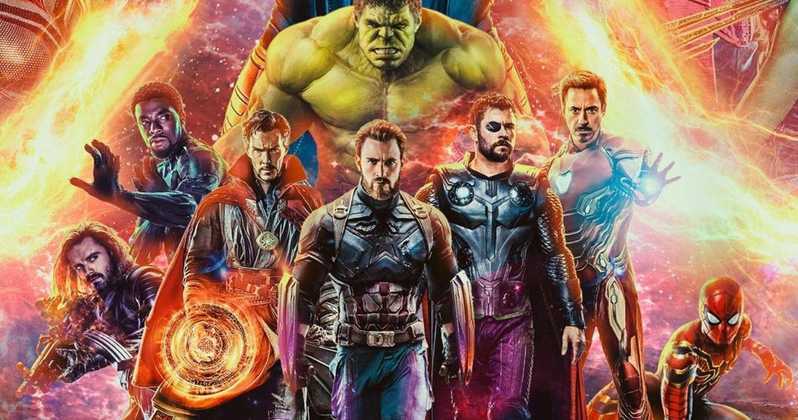 We’ve made a breakdown of all fallen heroes appearing in Avengers: Endgame footage. Final scene in Ant-Man and the Wasp, Hope and her parents were dusted while Scott Lang was in the Quantum Realm. Spider-Man died in Iron Man’s arms on Titan. Before getting dusted, Doctor Strange saw the one successful future for the heroes. Maybe he knew something we didn’t. Falcon met his end on the Wakandan battlefield. Fury died before sending a distress call to Captain Marvel. Scarlet Witch also faded away in Wakanda. She had to first destroy her love Vision and then having to watch Thanos reverse time and pry the Mind Stone from his head. Star-Lord, Groot, and Drax all dusted away, but Gamora’s death was truly tragic. Thanos sacrificed her to get the stone in order to be able to carry out his terrible plan. Black Panther was among many turned to ash on the Wakandan battlefield. Cap’s good old friend Bucky being dusted in Wakanda. Vision sacrificed himself at Scarlet Witch’s hands to prevent Thanos from getting the Mind Stone. But Thanos used the Time Stone to take it anyway.